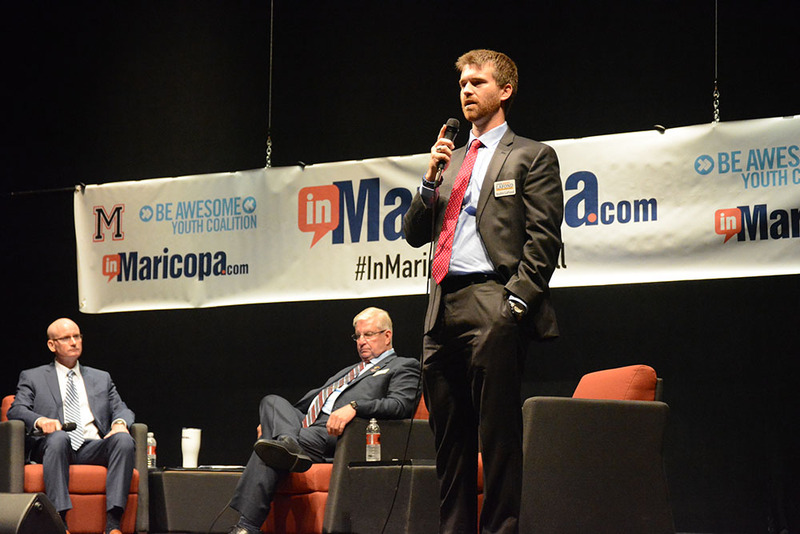 Since being elected constable in 2014, Bret Roberts has made himself a visible part of the Maricopa city government as a frequent attendee at meetings and other gatherings. 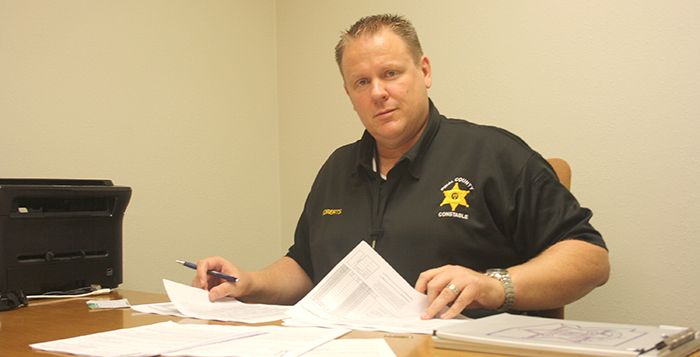 A former loan processor, restaurateur and Maricopa County Sheriff’s Office detention officer, he has held jobs that largely involved working with the public. Maricopans will find him executing his duties at the Justice Court and around town. 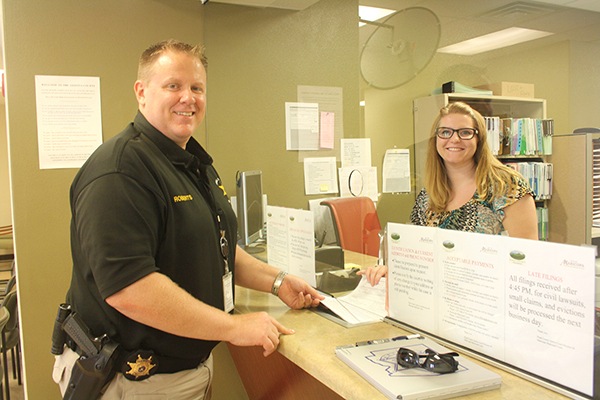 Why did you want to be Maricopa’s constable? Several years ago I first learned about constables and their responsibilities from a co-worker who shared how they had helped someone on their campaign. Considering the training I received from the Maricopa County Sheriff’s Office and my professional background, the position seemed like it would be a perfect fit. As an added bonus I had not thought about, I’ve had the opportunity to meet a lot of people and make new friends establishing professional relationships as well as during the campaign process. Has your background benefited you on the job? Yes, definitely my background working with the public has been beneficial, but I would have to say the time spent and training received working with the Sheriff’s Office has been the most essential. Both of these have helped tremendously in communicating with the public. What have been your unexpected challenges since taking office? As far as the performance of the daily duties, I would say even though I was aware of what was expected, the reality of certain aspects can be a little difficult. Depending on how a Writ of Restitution or eviction is handled, it can be difficult, to say the least. Sometimes bad things happen to good people, and I have found that if you treat people the way you would like to be treated in these circumstances things tend to work out the best for all parties. Another challenge is finding abandoned animals. As an animal owner I can’t understand how someone can leave what I consider to be a member of the family behind and in situations where they are unable to fend for themselves. Recently I found two approximately 6-month-old pups in the back yard of a home without food or water in 110+ degree weather. When I found them they were happy to see just about anyone. After leaving them plenty of food and water, luckily I was able to get them taken care of the following day. What are your favorite aspects of the job? I have to say one of the things I truly enjoy about being the constable is when you finally get someone served that has been evading service. For some reason, when you actually catch the person there is a sense of satisfaction there that I haven’t found in any other aspect of the office. Do you have further political ambitions? At this time I have not considered running for any other elected office. Who are your biggest influences in how you approach your work? I would have to say meeting and talking with other constables has been my biggest influence mainly by attending the Arizona Constable Associations training. Constables Kevin Jones from Maricopa County and Ben Crow from Casa Grande have been a tremendous help and resource as well. This story was published in the fall edition of InMaricopa the Magazine.